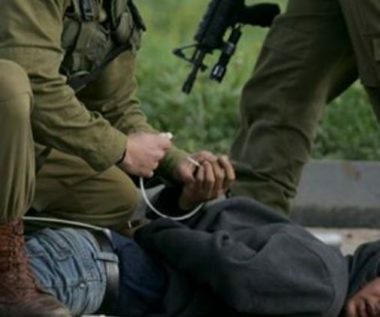 Israeli soldiers abducted, on Saturday evening, a young Palestinian man and confiscated his motorcycle, in addition to firing concussion grenades at several cars at a sudden military roadblock, in Hebron governorate, in southern West Bank. Media sources said the soldiers abducted Rafat Taleb Darwish, 20, after stopping him at a sudden military roadblock at the at-Tabaqa village junction, south of Hebron, and confiscated his motorcycle. They added that the soldiers also fired many concussion grenades at Palestinian cars, while waiting to be allowed through a military roadblock at Kharsa village junction, south of Doura town, southwest of Hebron. Eyewitnesses said the soldiers installed the sudden roadblock, before stopping and searching many cars, and fired concussion grenades at the vehicles, lined up and awaiting to be allowed through, causing damage to one car owned by a Palestinian, identified as Sanad Jom’a.